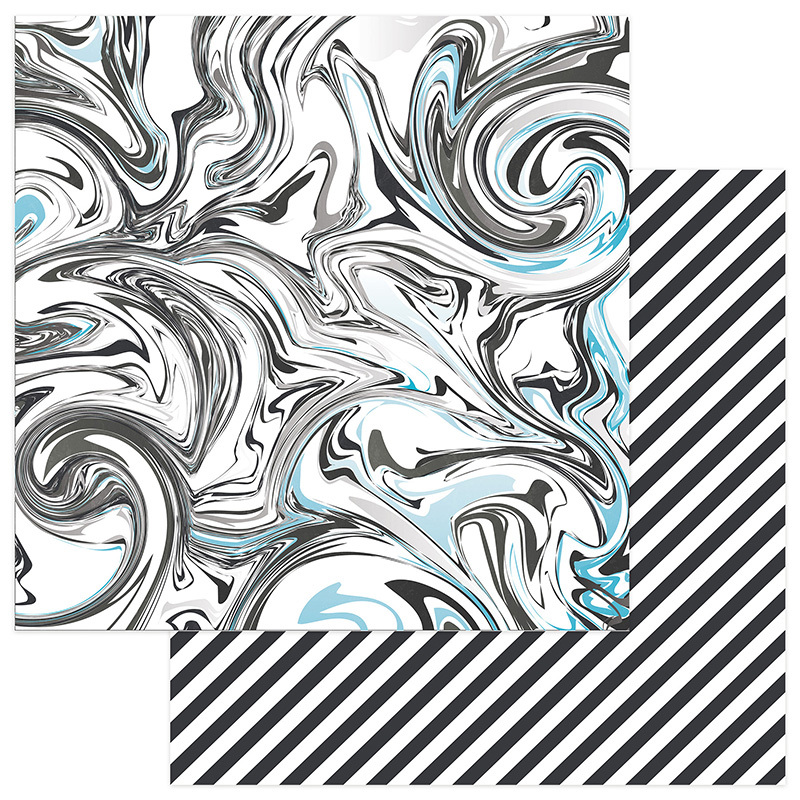 This 12x12 double sided Designer Paper has a Swirl Design on the frontside while the reverse side is a Black & White Diagonal Stripe. Look for the coordinating Collection Kit and other single sheets of paper. Part of the Panda Party Collection by PhotoPlay Paper.